Alto Energy are now on Instagram! We would love for you to follow altoenergyuk where we will showcase photos of our full range of products on real projects. 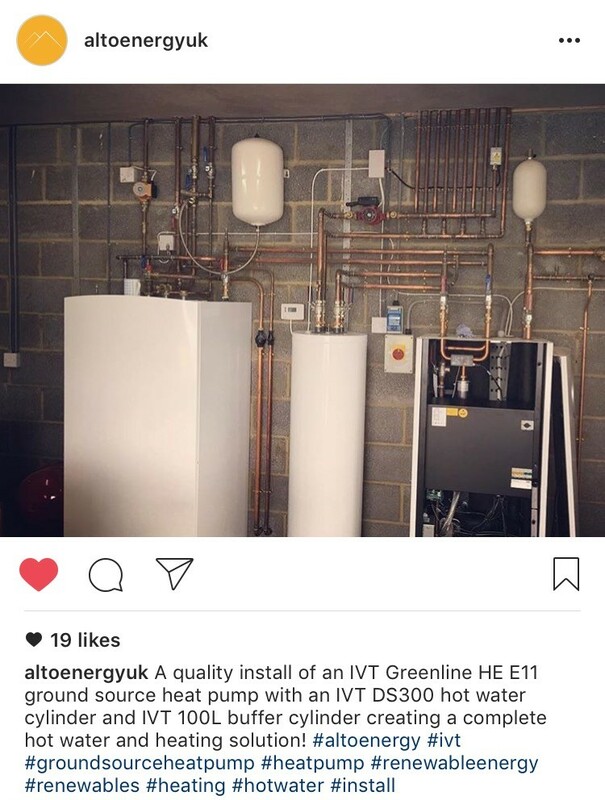 All the photos we post are taken by our own engineers when they commission heat pumps installed by one of our installation partners. The heat pumps shown have all been designed, supplied and commissioned by Alto Energy Limited. If you would like to follow the Alto Energy story, you can do so by either searching altoenergyuk on Instagram on your mobile or tablet, or by clicking the button below. In addition to Instagram you can also follow us on all mainstream social media channels.